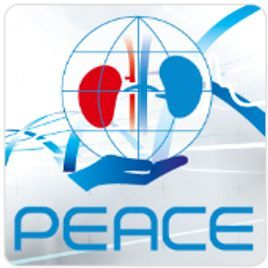 PEACE is a prospective international, multi-centre, prevalence study on the epidemiology of the use of renal replacement therapy for ICU patients who have acute kidney injury and chronic end stage kidney disease which is being run by ESICM. Study data collection took place on one of two days (25th March & 22nd April 2015) with patients being followed up to 90 days. More information can be found on the ESICM website.